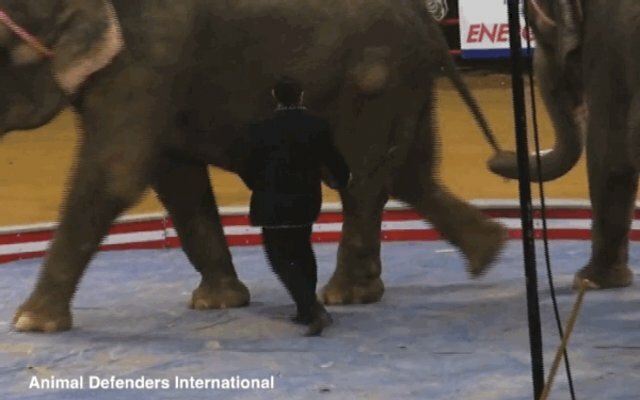 Elephants aren't doing tricks because they want to. They're doing them because they're terrified. What are they so afraid of? 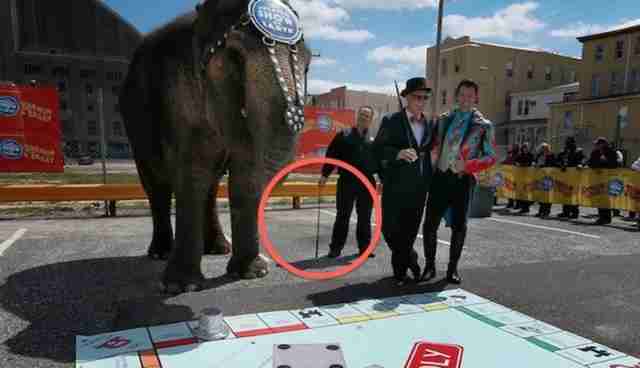 ...Such as tricks like this. 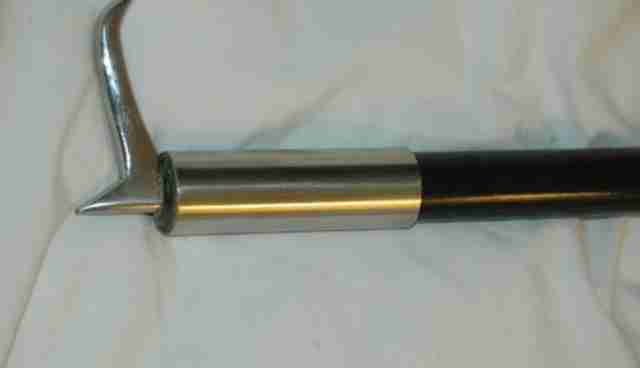 Maybe you think you've never seen one of these instruments of pain before? 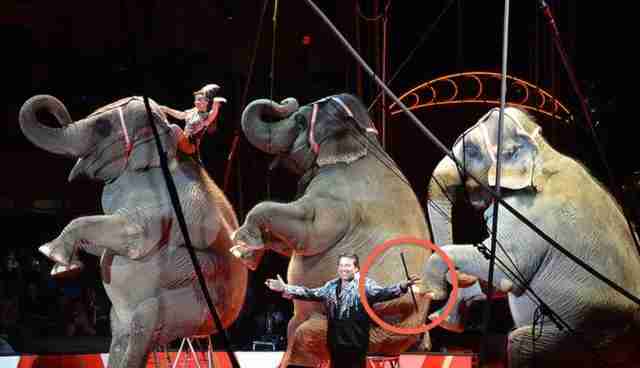 Well, if you've ever seen a circus elephant, then you've certainly seen a bullhook. 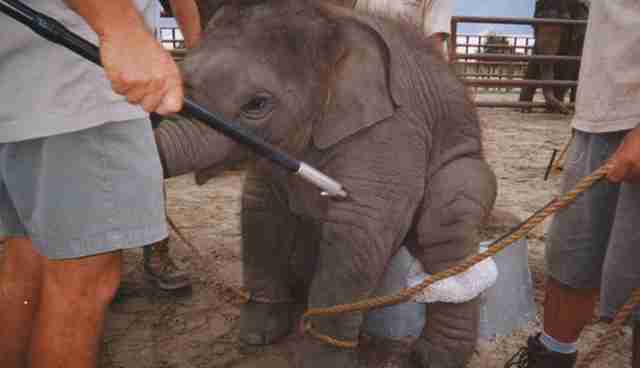 Circuses usually try to keep bullhooks hidden, so only the elephants know they're there, ready to be used on them. But once you know what to look for, they're really hard to miss. 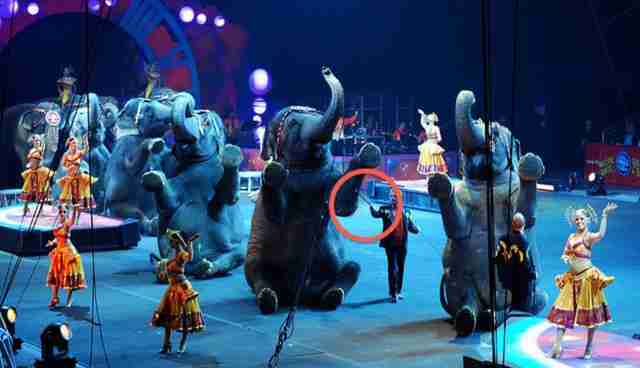 Can you spot the bullhook in this picture? 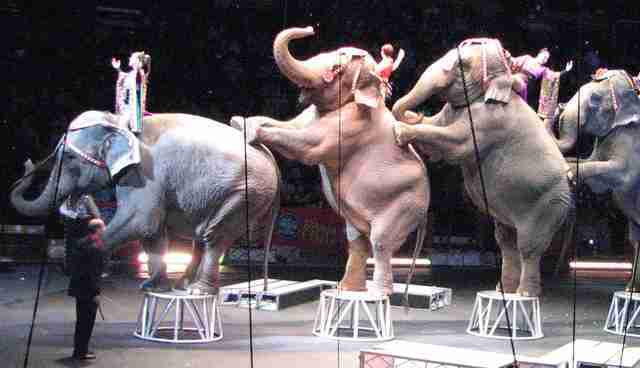 Here are a few more circus elephants, always accompanied by the one thing they've learned to fear the most. 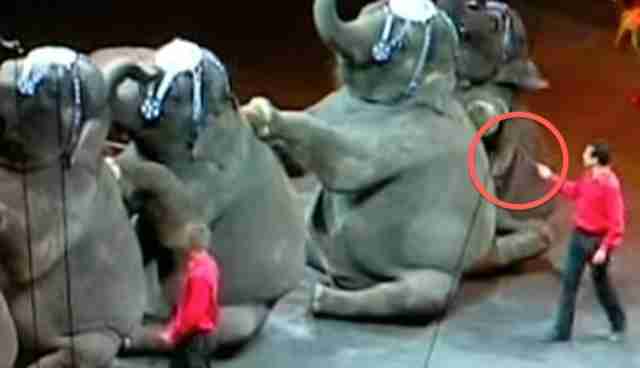 Elephants would never do these things if they weren't being intimidated. 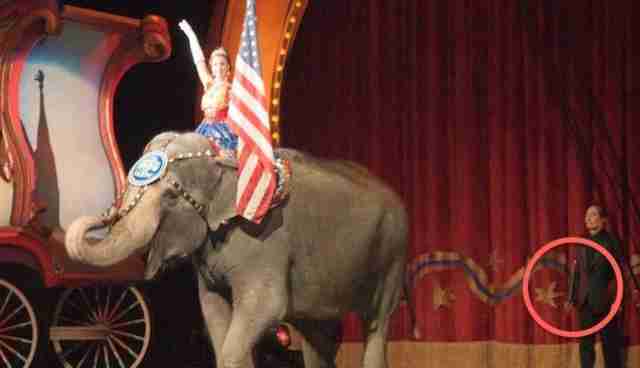 Paying to see circuses that use elephants only ensures that this practice will continue. 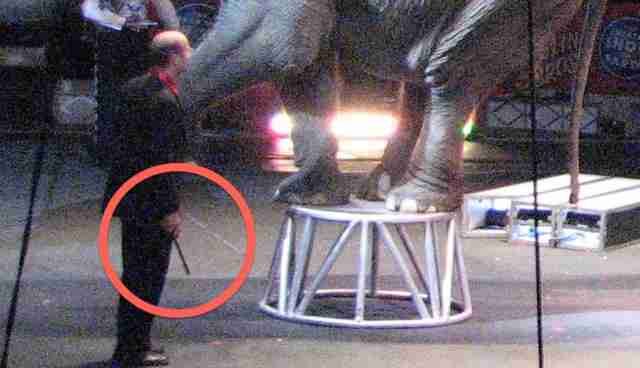 Even outside circus settings, elephants are kept fearfully obedient with bullhooks, something no intelligent creature should be subjected to. 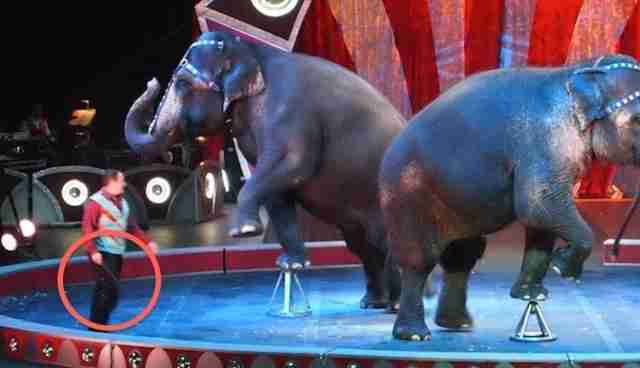 Suddenly, stunts with these animals, like this recent bit on the Tonight Show, seem much more saddening than entertaining when you see the truth behind every trick. 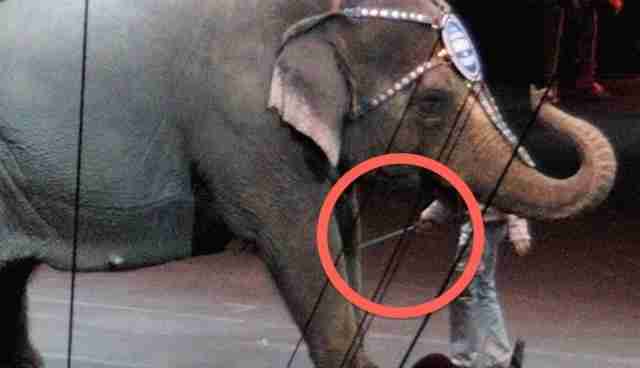 There is nothing fun or amusing about circuses that exploit animals. 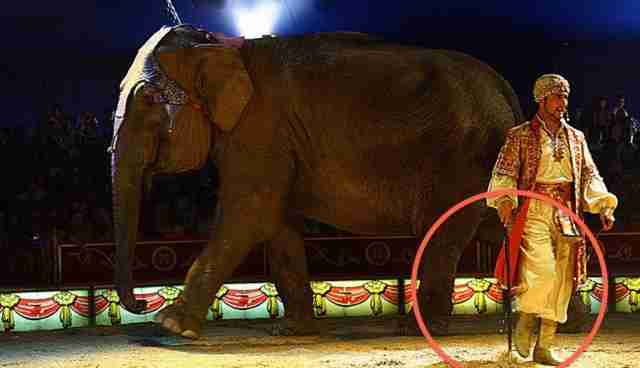 Performance animals, like elephants, are routinely subjected lives of intimidation and abuse at the hands of their keepers. 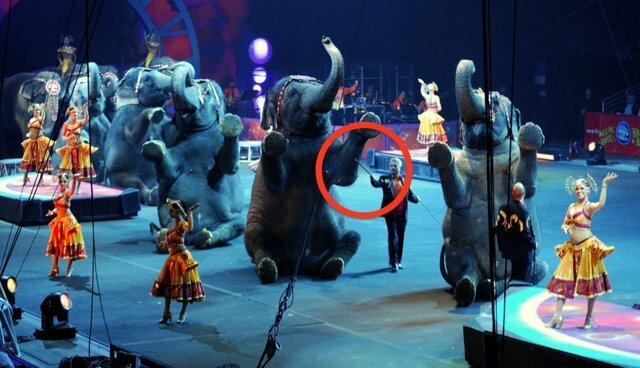 Join us in pledging to not support circuses that use animals as props for entertainment.